LIVE WELL!! Welcome to Lexington Club at Vero Apartment Homes for rent in Vero Beach, FL, an ideal location for today's 55+ senior living with great living spaces and beautiful surroundings. Lexington Club at Vero Apartments is centrally located in the heart of Vero Beach, off Hwy 60/20th Street within minutes to Historic Downtown Vero Beach, premier shopping and dining, Indian River Mall, Osceola Organic Farm, Publix, Walmart Super Center, I-95 and the “Go Line” bus route. Enjoy an evening out at one of the many theatre guilds that Vero Beach has to offer. Experience the perks of life! 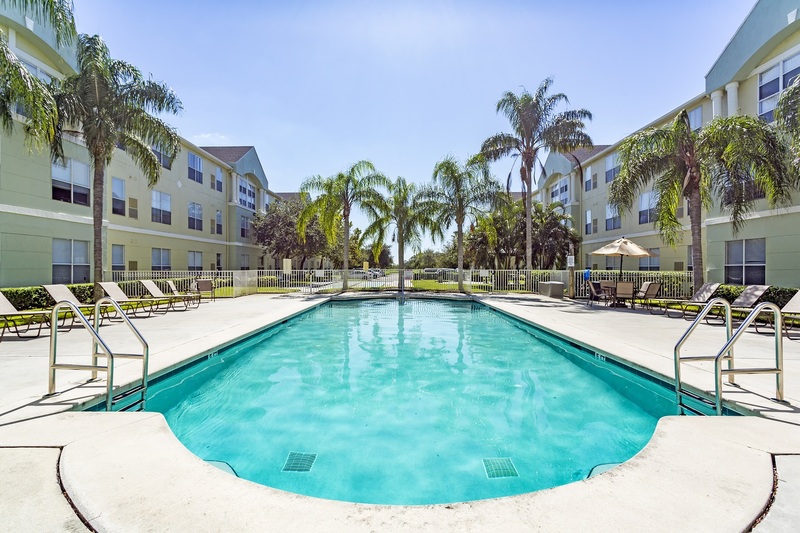 This pet-friendly apartment community in Vero Beach offers spacious two bedroom floor plans into our keyless entry building with upgraded contemporary interior finishes and a variety of amenities. Every apartment home features a fully-equipped kitchen, full-size washer/dryer connections, extra closet space and central heat/air. Residents can take advantage of a quick workout at our 24 hour wellness center, take a dip at our outdoor oasis heated swimming pool, or play fetch with your furry friend in our bark park. Visit today to discover the many benefits of this Indian River County community. I moved in on May 1st , 2017. I felt welcomed right away. The apartment was very clean. The apts are spacious and have everything I need. I love the community here. There are several activities that go on every week. The staff is friendly and helpful.. Maintenance is also very good. They usually fix your issue within a day, and are very professional. The complex is about 2 miles for mostly everything I need. I also feel very safe here. I love love living here. I have been the community manager here for a few months. I have so many wonderful residents who care about one another and who contribute to the community in the most positive of ways. My goal is to have Lexington Club At Vero THE place to call home for seniors. Thank you to all the residents and the very supportive corporate staff at Laramar. I am into my 6th year at Lexington Club. Before I moved in, I looked as far north as Jacksonville and in between areas. I chose here, and I'm glad I did. This complex is on a peaceful piece of property and we are within a mile or two of any thing you may need. I walk around the property even at night and I feel completely safe. That's a comforting thought. Any maintenance concern is now being taken care of very promptly. Our new management team is superb! The grounds are well-maintained as well as the pool and surrounding areas. Residents are delighted with the new changes. I enjoy living here and I'm certain you will too.